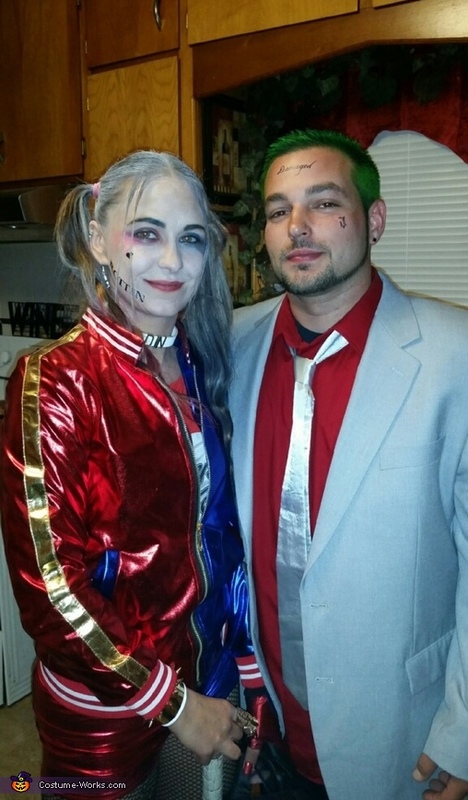 My husband an I decided to be the suicide squad's version of the Joker & Harley Quinn! I started gathering and ordering as much as I could, including tattoos, outfits ect. to be ready for the big day! Hour's of thrifting, days of online searching, month's of crafting and anticipation ..... Then BAM with a little finesse and we have the perfect diabolical Halloween couple costume!